Academy Award winner Marion Cotillard stars as Lady Macbeth opposite Academy Award nominee Michael Fassbender in this year’s thrilling interpretation of Shakespeare’s “Macbeth.” The movie wherein Fassbender plays the title role is the story of a fearless warrior and inspiring leader brought low by ambition and desire. Set in war torn Scottish landscape, following a fierce battle in which Macbeth (Fassbender), Thane of Glamis and loyal general of King Duncan’s (David Thewlis) forces, has finally killed Macdonwald, a traitor and leader of rebel forces, he and fellow soldier Banquo (Paddy Considine) encounter three women scavenging among the fallen soldiers, who foretell that Macbeth will become Thane of Cawdor and King of Scotland, while Banquo will be the father of future kings. Both men are unnerved by the prophecies but for the moment appear not to believe them. At Inverness, a letter from Macbeth arrives, informing Lady Macbeth of the prophecy. Lady Macbeth (Cotillard), who has not seen her husband over the long years of war and is grieving the loss of their only child, feels the seed of an idea grow in her mind. She plans for her husband to kill King Duncan so that they can assume the throne. Macbeth is at first reluctant to do harm to Duncan, but Lady Macbeth’s persuasion and Duncan’s announcement that his callow son Malcolm will succeed him spur him to act. After feasting and drinking liberally, Duncan retires to bed, unaware that Lady Macbeth has drugged his guards. Macbeth, taking advantage of the confusion and grief caused by Duncan’s death, and marshalling his popularity amongst the people, is crowned King of Scotland. Banquo, however, has suspicions of his own based on their encounter with the prophetic women. Unable to trust anyone, and increasingly drawn down the path of tyranny, Macbeth begins to kill any who he fears might oppose him. Lady Macbeth, meanwhile, has been slowly driven mad by her guilt in the wake of killing Duncan and the realisation that she has lost her husband forever to darkness, just like she once lost a child. Unable to escape her grief, and unable to make any connection with the husband she loves so much, she returns to Inverness and dies consumed by visions of her dead child. 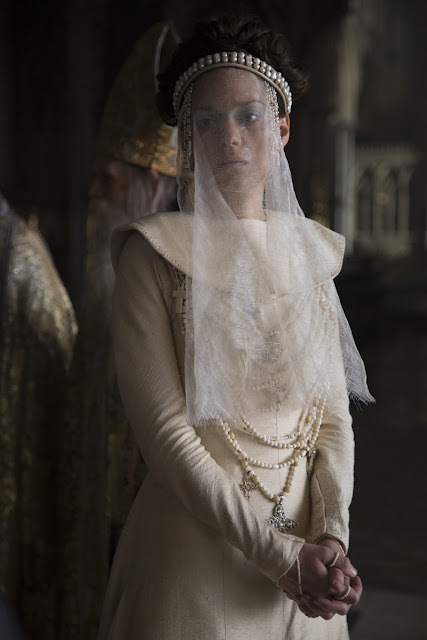 Marion Cotillard signed up to play the crucial role of Lady Macbeth, despite English being a second language. “I knew that one day I would play Lady Macbeth,” says Cotillard, noting the special connection she’s always felt to Scotland and this particular play. Acclaimed director Justin Kurzel says Cotillard worked hard to learn the Shakespearian language despite the language barrier. “It was huge for her in terms of how foreign the verse was,” he notes. “Macbeth” opens in cinemas this January 13 from Pioneer Films.